With this plugin for Autodesk® Revit® 2016, you can extract your BIM data to a custom Excel template. Choose the categories and the family, project or shared parameters, from within the Revit interface, that need to be defined in your Excel template. The user has the possibility to customize the Excel workbook with own formulas, layouts, and map the Revit parameters with the custom fields in the workbook. The data is exported separately for Category Instances and Category Types, Material Instances, Project Information, used in the model. This can be done for each category. This tool distinguishes oneself because of its possibility to dig up data that cannot be shown in Revit schedules (i.e. volumetric data on stair treads, risers, supports, compound structure of walls and floors,). I did't receive the confrimation email. Hello, I have downloaded it and submitted the form, but I don't receive the confirmation email, do you know what can I do. I really need this app. Thanks. 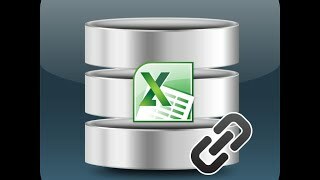 Very customizable application to extract data to Excel. Create your custom BOQ in no time. With some (a lot) knowledge of excel, use a formula here and there, a little VBA if needed. No more filtering and limited sorting in the Revit schedules. Remember, the extracted data is only as good the input in Revit has been done.